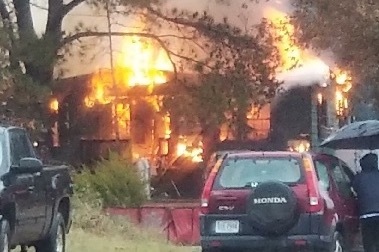 My aunt Delores Palmer’s, whom is a wonderful aunt, mom, grandmother, pastor, cousin, and friend to many watched her home burn down to the ground this morning on Williamson Rd. while 4 fire trucks from Dinwiddie Fire Department attempted to save it. My aunt has has withered a lot of trials and tribulations in her life. Her house burned down this morning with all of her belongings, and possessions now forever gone. We are trying to raise money/donations to help her get back on her feet. Right now, all she has is the clothes on her back and memories.